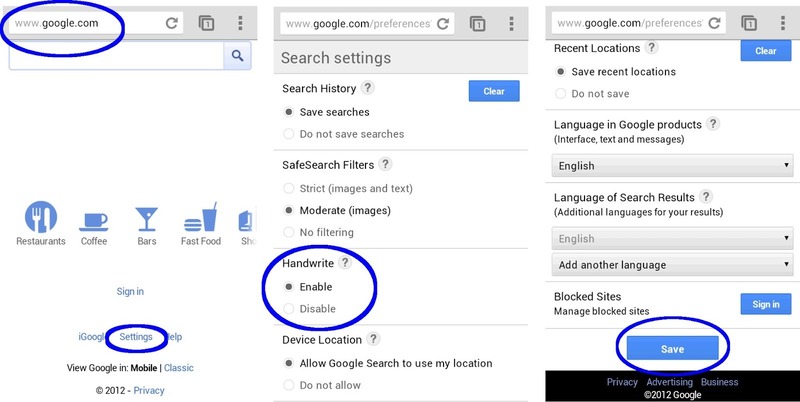 In its endless attempts to make searching easier for everyone, Google has introduced yet another way to search via its mobile site at google.com: handwriting recognition. If you go to Google's search page from your phone or tablet's mobile browser and enable the feature via settings, you can now scribble your searches on the screen, even after receiving results. It's pretty fancy! Of course, this does raise the question of whether this input method is any faster. In the video above, in an attempt to show how this might be used, we see a man who has had nearly all of his fingers broken scribble the words "ski lessons" on the screen. Ignoring that typing text might be easier with one functioning finger than handwriting it, it's impressive that the software can still read it. And before you shout "it's a demo video, of course it works! ", I've personally tried out the handwriting search and I have worse handwriting than a man with ten broken fingers. Trust me, it's pretty dang good recognition. If you'll ever use it, of course. Still, it's really neat that it exists. 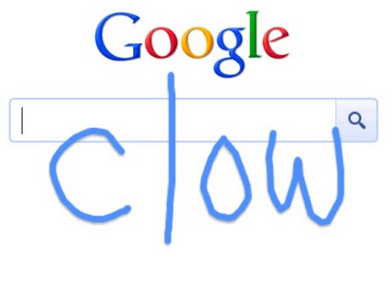 If handwriting is your thing and you can't stand software keyboards, head to google.com and click on Settings (or the gear icon in the top right corner on some devices) to enable it and then get writing.